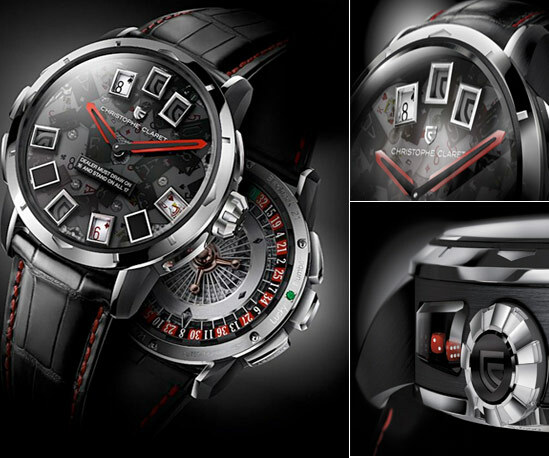 Swiss watchmaker Christophe Claret brings something for the James Bond in you, this limited edition “21 Blackjack” timepiece, although to simply call it a “timepiece” is a misnomer. You can actually play dice, roulette and cards with multiple players on this thing. Don’t believe me, watch the video to see how they incorporated this amazing functionality, including 1.5 millimetre dice, tiny cards (including shutters to hide the dealer’s hand), “player” and “dealer” buttons, and a roulette wheel. Unfortunately it’s retailing for about 200,000 Euros, but we can still dream.